“In disputes upon moral or scientific points,” Arthur Martine counseled in his magnificent 1866 guide to the art of conversation, “let your aim be to come at truth, not to conquer your opponent. So you never shall be at a loss in losing the argument, and gaining a new discovery.” Of course, this isn’t what happens most of the time when we argue, both online and off, but especially when we deploy the artillery of our righteousness from behind the comfortable shield of the keyboard. 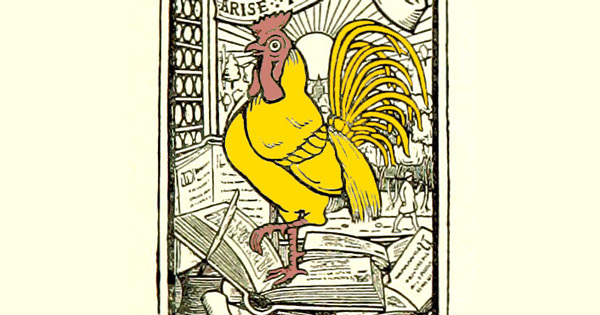 That form of “criticism” — which is really a menace of reacting rather than responding — is worthy of Mark Twain’s memorable remark that “the critic’s symbol should be the tumble-bug: he deposits his egg in somebody else’s dung, otherwise he could not hatch it.” But it needn’t be this way — there are ways to be critical while remaining charitable, of aiming not to “conquer” but to “come at truth,” not to be right at all costs but to understand and advance the collective understanding. Compare and contrast with Susan Sontag’s three steps to refuting any argument, and treat yourself to Dennett’s wholly excellent Intuition Pumps and Other Tools for Thinking.